Today has been another day, filled with transfer news, gossip, rumors, and speculation surrounding the Gunners. Without further ado, here is the Arsenal Transfer News Roundup. According to several reports coming out of France, Arsenal are closing in on Caen's 16 year old prospect and striker, M'Baye Niang. 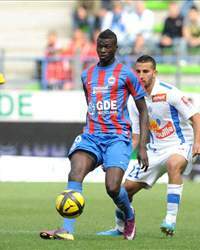 Niang, impressed in his few opportunities for Caen last season, scoring 3 goals in 7 appearances. According to Stephen Tudor of Sabotage Times, Niang is a player who has excellent composure and physique, with good pace, capable of drifting in from wide positions. Niang is considered one of France's brightest prospects, reportedly valued at around 8 million euros and Tottenham and Liverpool are said to be also interested in his signature. I never heard about him until now, but many who have, rate him very highly. He seems to have all the capabilities and attributes to succeed in the Premier League. According to the Metro, Arsenal are interested in signing Argentina international and Anderlecht midfielder, Lucas Biglia. The report states the Gunners have sent scouts to keep an eye on him and that Biglia is willing to listen to offers for his services. Arsenal are reportedly willing to offer 6 million pounds for his services and that Liverpool and Tottenham, are also interested in his services. In my opinion, I think that the Gunners would do well with another holding midfielder to provide Song with some competition and add some steel to the midfield. I really like Biglia, he's tough, ball-playing and an excellent tackler, who can also pass very well and has good technique as well. I think he would very well with the Gunners, if they sign him up. It's now official, as Jay Emmanuel-Thomas completed his move to Ipswich on a permanent basis for an undisclosed fee. The fee is rumored to be worth around 1.1 million pounds on a 3-year contract. I wish JET all the best of luck in his career. 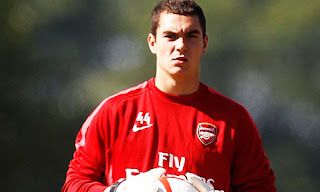 In other official news, 20 year old goalkeeper James Shea, has joined on a season-loan to League 2 outfit, Dagenham and Redbridge. 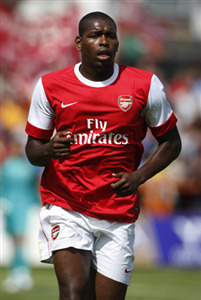 Shea, replaces club legend Tony Roberts, who is now Arsenal's full time reserve coach. 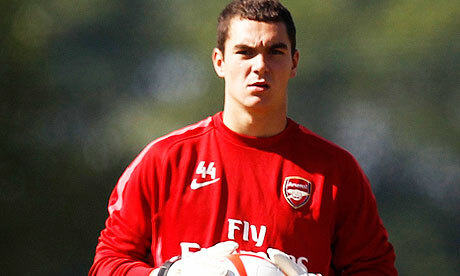 I wish James Shea all the best with Dagenham and Redbridge. What do you think? Should the Gunners go for Biglia and Niang? What are your thoughts on the departures of both JET and Shea?